Haiti is rapidly earning itself as a prime hot spot for entrepreneurial activity. With 11 million citizens and a global diaspora network of 30 million Haitian internationals- the influence of Haitian women on the global economy is spreading. Each quarter we highlight the top 10 women of influencer who are disrupting global markets. Last December we kicked off the list with 10 women who represent government, media and corporate networks. We return again with the spotlight for international women’s month adding disruptors in sports, culture, and banking. After the top ten spotlight announcement, we crowdsource a public vote on the most influential innovator on the list to hear their full story featured in our hall of fame series. Nominate someone here. Congratulations to the Top Women of Influence (March 2019)! Marie-Christine Stephenson (Ministry of Tourism) With political transitions post country wide protests that broke out during her transition as Minister in September 2018- Marie is met with the challenge of convincing the world to continue traveling to Haiti. Despite the damage suffered from Expedia and Booking.com’s premature act to remove Haiti from its destination list- Diaspora and internationals are still flying to the country for business and pleasure. Maintaining this flow of activity will be a critical part of Haiti’s economy and Marie is leading the helm in recentering Haiti as the pearl of the caribbean once again. Also know as Bibi, Fabiola is the host of Haiti’s latest hit radio show! Fabiola Coupet aka Bibinètalkole is a writer and storyteller and a passionate promoter of all things Haiti! 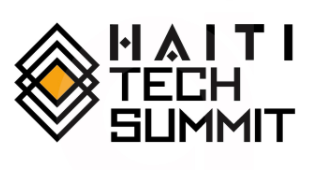 She was also a leading MC for the annual Haiti Tech Summit in 2018. Gaelle Riviere Wulff (Membre Conseil d’Administration chez Sogebank) Gaelle is an amazing influencer that does amazing work supporting Haiti’s entrepreneurial influencers behind the scene. She is also a dynamic entreprener who founded Arlequin Food Products to disrupt the food supply chain. She also leads at Sogebank- formally known as Société générale haïtienne de Banque, S.A. (Haitian Banking Corporation), which is one of Haiti‘s three largest commercial banks. Sogebank currently has 42 branches located throughout the country. Jacqueline Charles (Journalist @ Miami Herald) With over a decade of reporting for the Haitian people, Jacqueline does not need an introduction. News on Haiti usually breaks out with her reporting. She is the Miami Herald’s full-time Caribbean Correspondent with responsibilities for Haiti and the English-speaking Caribbean. She was the first journalist to report that then-Haitian President RenePreval had survived the Jan. 12, 2010 earthquake, and was among the first reporters to arrive in the country shortly after the disaster. Dieudonne Luma Etienne (Honorable Senator) Dieudonne is the only woman elected senator of the Republic during the last senatorial of 2015 and 2016. She was sworn on January 10, 2017. She is currently serving in the 50th Legislature of the Senate of Haiti. She has led in many critical areas of government over the past few years. She served as executive director of the Northern Branch of the Tourism Association of Haiti (ATH), then vice-president of this regional branch. In 2010, Senator Etienne has the opportunity to be appointed departmental director of the Ministry of Commerce and Industry and three years later, she is transferred to the Ministry of Tourism as Regional Director of Tourism in Northern Haiti. She has been in turn: Regional Director at the Ministry of Trade and Industry (MCI); Regional Coordinator for MARKET / USAID; she was also director of the Prima / EU project before running for the position of executive director of the Tourism Association of Haiti / North. Former AMCHAM President and Head of Marketing at Brana/Heineken. Formerly the lead at the American Chamber of Commerce, Regine now leads marketing efforts at one of Haiti’s leading brewing companies managing over 1400 employees. She also has an amazing background in public/government relations. The world has seen a shift in Tennis where Naomi is taking center stage- PRimarily for being one of the few to beat the notorious Serena Williams. Osaka was born to a Japanese mother and a Haitian father who moved to New York in the U.S. when she was three years old. Now she is based in Florida. In 2013, Osaka started her professional career in tennis. With a height of 180cm and a powerful serve and a strong forehand, the world saw Osaka as a rising star. While scaling out her career, she has promoted Haiti and Japan as her cultural heritage homelands and recently visited Haiti to reconnect with her family and people. Jesse broke out on the scene recently as a reality star on the Love and Hip Hop show. Yet it’s important to note that this BET correspondent is already trailblazing a the first and most popular female Haitian comedian – highlighting Haitian people and culture in a funny way. Karen Civil- (Media Influencer) Founded in October of 2008, KarenCivil.com is a site dedicated to the readers every need as it offers an industry insider look into hip hop. Unlike many other hip hop sites and publications, one of KC’s goals is to introduce the world to those up and coming in the industry. With rising stars such as Drake, Nipsey Hussle, and J.Cole, who were first featured on KarenCivil.com, the site has helped to usher in a new generation of lyrical phenomenons. Karen is also a well known influencer in the Haitian community launching a computer school most recently in the northern part of Haiti. Author of several stories with a backdrop Haiti, Edwidge Danticat is one of the most prolific Haitian novelists and the first Haitian writer, so far, to win the International Award Neustadt 2018, considered in the US as the “Nobel” of literature. Krick Krack is one of her most popular works alongside a series of books that beautifully highlight the Haiti and its people.